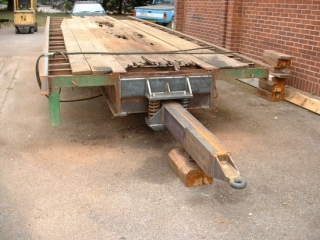 These photos show some of the fabrication work that went into producing this plant trailer from a lorry flat bed trailer. 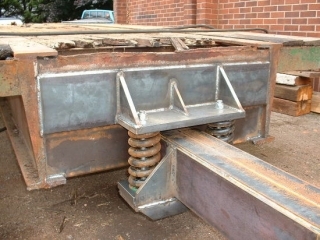 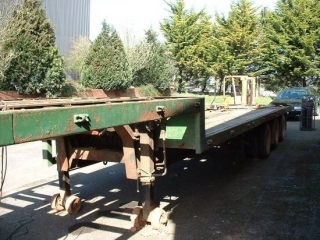 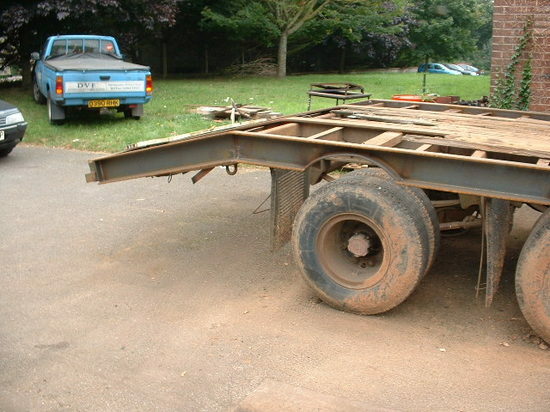 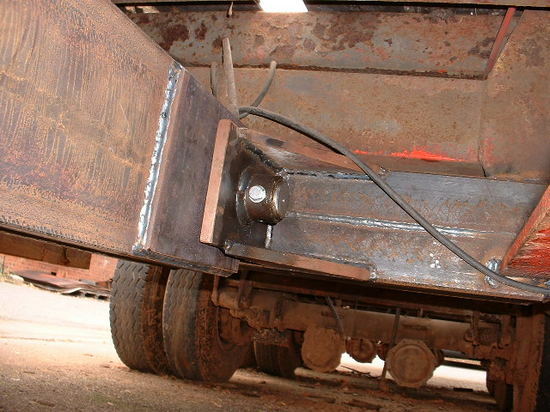 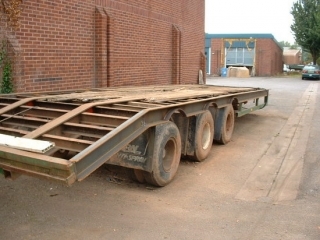 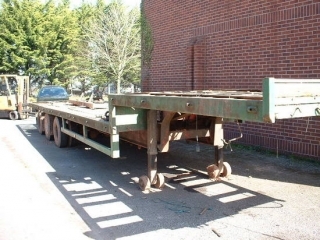 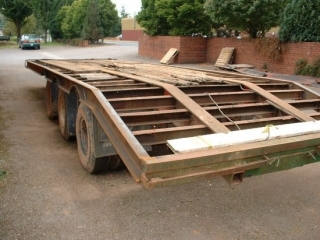 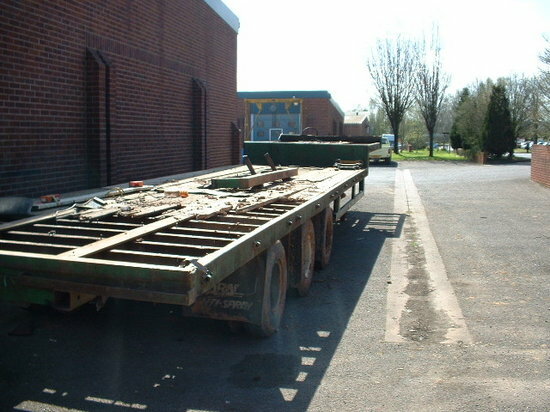 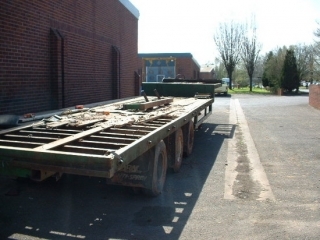 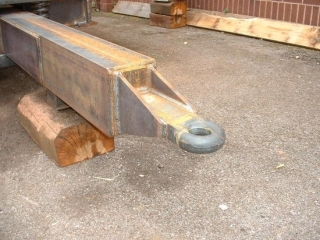 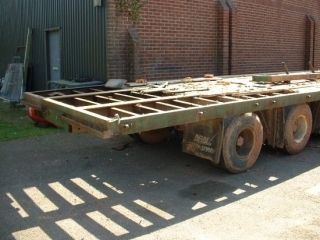 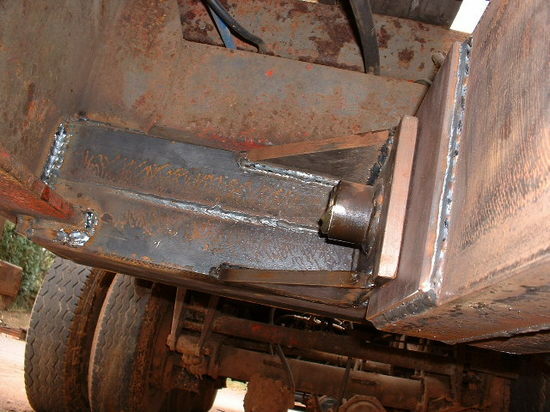 We converted the existing flat chassis to a beaver tail by removing a triangular section from the the bottom of the main chassis frame, we then bent the frame down to the correct angle then welded and plated the joint. 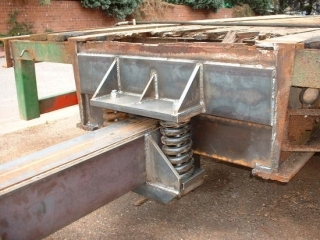 The average thickness of the steel is between sixteen and twenty millimeters and the draw tube is fabricated using two channels welded web to web.